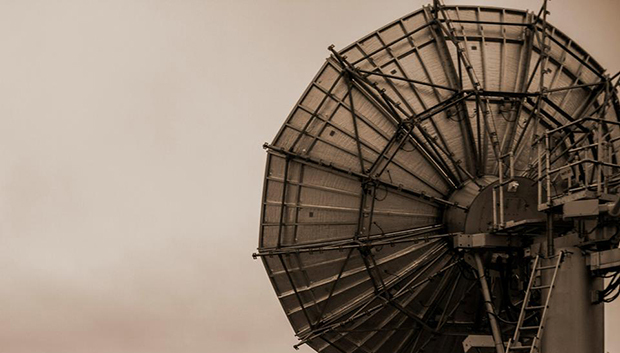 Among the waves of change rippling through the world of the satellite operator, decentralisation offers some of the more intriguing benefits. In place of the traditional centralised operating model a more distributed infrastructure has been made possible by recent technological developments, and this kind of topology suits operators looking for cost reduction through standardisation of equipment, greater flexibility, and a more resilient redundancy capability that is able to survive the failure of the central production system. These features of a decentralised approach should be of interest to any operator, but it could be argued that they are particularly attractive to operators covering regions that are less-densely populated or where geographical or meteorological challenges exist. These factors are certainly important to a major satellite operator whose infrastructure and operating model is currently under reconstruction. Until recently, operators have typically employed uplink production chains consists of primary and secondary circuits running in parallel with more or less identical configurations. In the event of a failure on the primary circuit, the operator maintains the service by switching to the backup, either using a switch in a semi-manual process, or with limited automation via NMS triggers. Its also part of this traditional model for the operator to have a central production facility where all the production is done, and to transport the already-modulated content via RF on fibre to the transmitter. 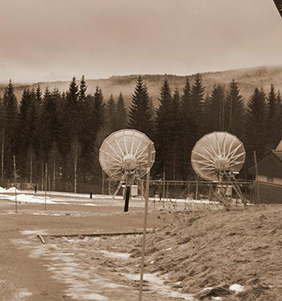 In the new decentralised model a large degree of distributed capability can be introduced into the infrastructure by doing the modulation and some of the multiplexing close to the antennae, and using more sophisticated redundancy switching also at the antenna site, just before the transmit booster. Moving beyond the relatively crude switching capability of the previous generation, this model requires a degree of intelligence in the hardware, to allow the operator confidence in a distributed, hands-off automated redundancy strategy. Rather than monitoring how each modulator is performing from the control centre and then doing triggered redundancy switching, the more or less autonomous intelligence at each decentralised antenna site can operate independently from the central facility if required, and this is a key aspect of the strategy, increasing the overall redundancy of the system as a whole. Now, the operator can survive a failure in the central system, knowing that it will not affect data elsewhere in the production pipeline. In the case of a European operator, this independence in redundancy is achieved using the Bridge Technologies VB273 Intelligent Switch, which employs a combination of full-blown ETR290 analysis, a high-performance RF monitoring capability, and a decision engine that compares error condition results against user-defined rules. The greater scope and subtlety of the analysis available allows a much more nuanced and flexible automated assessment of operating status and conditions. Whereas previous generations of redundancy switches were designed to intervene on a very limited set of conditions such as complete loss of signal, the VB273 can detect a wide range of errors and act accordingly. This capacity allows operators to bring switching rules more into line with current operating realities. For example, if CAS (conditional access) verification is lost on one of the production chains the redundancy switch can automatically check the redundant chains to see if the problem exists there too, and switch to one of them if CAS is intact. Switching is therefore available on the basis of services (such as CAS) as well as on simple hardware operation. Further redundancy can be built into the decentralised model by transporting data from the central production system to the antennae via gigabit fibre, using redundant IP chains. Aside from the much greater ability to maintain services when errors occur, the decentralised model delivers operational cost benefits. The modular structure makes it easier for the operator to change configuration when required, and changes can be implemented in a modular fashion and remotely, without the need to send engineers to swap out equipment units, or patch in hardwired changes. Consequently theres a reduction in costs and less reliance on specialised skills, changes can be made remotely at any time, to any part of the infrastructure simply by uploading new configurations. But there are many possible ways of implementing a decentralised redundancy strategy, and each operator may encounter different situations at different times. So a varying degree of autonomy can be useful. The operator may want to intervene and over-ride the default settings for autonomous operation in certain situations, to make changes to the way individual antenna sites or groups of sites work. To achieve this, the decentralised infrastructure can therefore be designed to allow control of switching from the central NMS, or by intelligent automated switching, or by a completely manual override at the transmitter site if an engineer is present. By allowing a much more flexible approach to satellite infrastructure design, more intelligent switching opens up the possibility of a new decentralised model for satellite operations using a greater standardisation of hardware. Operators can now design lower maintenance and more resilience into their systems, together with a greater flexibility to evolve in response to changing requirements and conditions while maintaining uninterrupted service.